University of Kashmir Date Sheet of BG 3rd Year (session March-April, 2019). 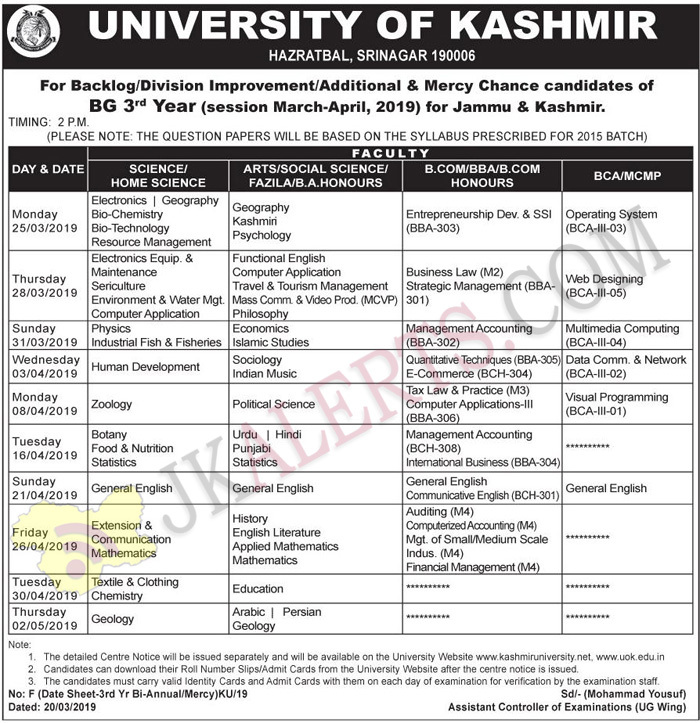 University of Kashmir For Backlog/Division Improvement/Additional & Mercy Chance candidates of BG 3rd Year (session March-April, 2019) for Jammu & Kashmir. (PLEASE NOTE: THE QUESTION PAPERS WILL BE BASED ON THE SYLLABUS PRESCRIBED FOR 2015 BATCH).